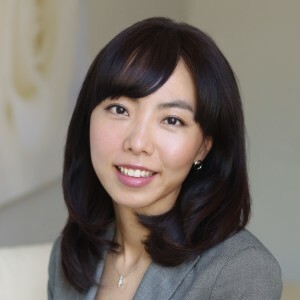 Prior to joining UF in 2018, Shin was a postdoctoral researcher at the University of Southern California Center for Applied Network Analysis in the Department of Preventive Medicine. She teaches and conducts research in digital media with a focus on social interaction, information flow, and networks and is particularly interested in how people create, share, and process information at the individual level and the resulting outcomes at the collective level. Shin received a B.A. with honors in Mass Communication and Journalism from Korea University in 2003. After graduation, she worked as a journalist for the Chosun Daily – Korea’s leading media company – for five years covering consumer, business, and technology. During that time, she also collaborated with Booz Allen Hamilton to investigate and analyze corporate strategies for imminent changes in the media industry. Based on interviews with technology scholars and influential movers as part of that project, she published a book titled “Technology and the Future” in 2008 and two book chapters concerning the consumption of brands and the role of influentials. In 2010, to more systematically study the trends of media technology and communication strategies, Shin returned to school for a Master’s in Communication Management and a Ph.D. in Communication at the Annenberg School for Communication & Journalism at USC. At Annenberg, she worked on various projects as part of the Annenberg Networks Network, the Annenberg Innovation Lab, and the Center for Applied Network Analysis. In 2017, she was awarded the “2017 Nafziger-White-Salwen Dissertation Award” from AEJMC. Her research has appeared in journals such as the Journal of Communication, New Media & Society, and Mass Communication & Society.